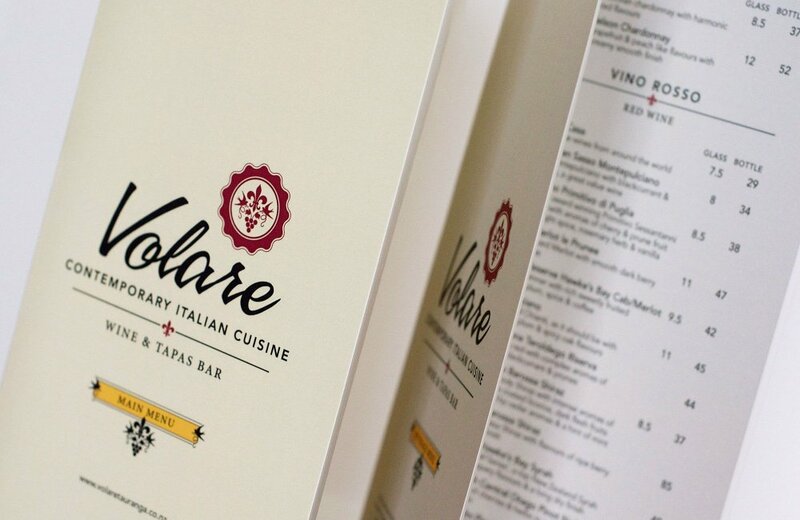 A brand refresh was required for Volare. 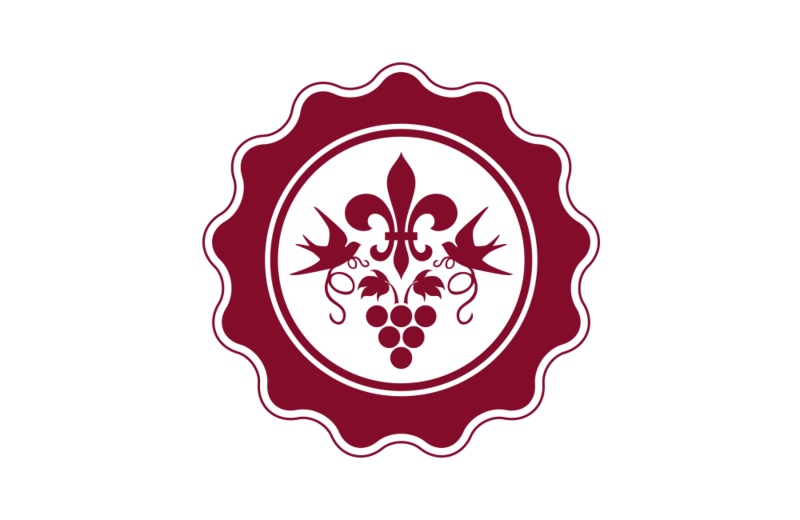 A stamp/seal was created referencing the owners Italian heritage. 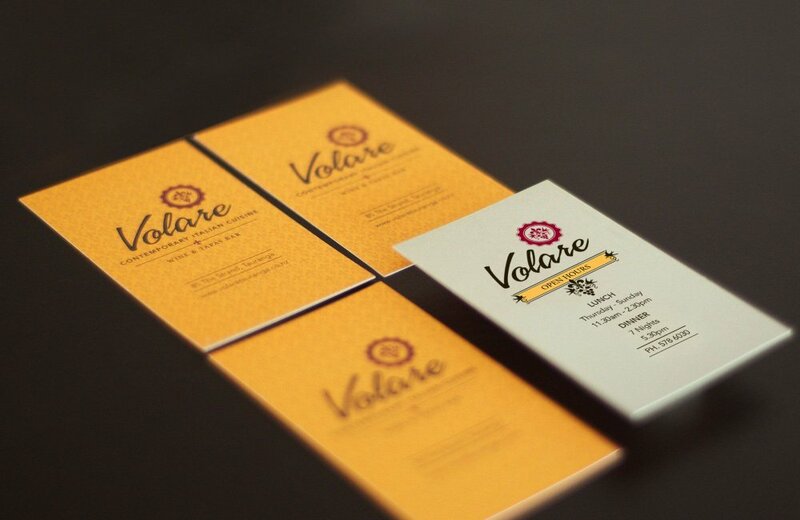 Rollout included stationery & menus.